I’m so sad it’s the last day of Love Is In Da Blog. I’ve enjoyed it even more this year than I did last year, which is saying something because I enjoyed the hell out of it last year. I think the thing I loved the most about this year was how organized it was. I loved combining with other prompts because it gave me a solid direction for my blog going forward. I now have a post I can write each day, whereas last year I would stop blogging for weeks at a time whenever I wasn’t participating in a blog hop. I also met some amazing new blogging buddies and found that the more you give love, the more it comes back to you. Blogging used to be a chore for me. I would fret about it for days and wonder what I should write and then when I really wanted to, it always seemed like something else came up that took it’s place. 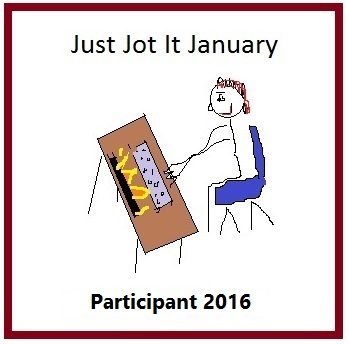 In the last two months, I have managed to write a post every single day and it hasn’t been a chore. I just made the decision to do it and once that happened, it became easy. Or, as easy as this type of thing can be, I suppose. My fiancé tells me that I’m happier when I’m writing. Somehow it centers me and gives me an extra boost each day. It’s like connecting with friends all around the world through my writing, which I still think is really damn cool. I also think it gives my life focus. There was a time a few years ago when I was really lost. My kids don’t really need me the way they used to and my day job isn’t my passion in life. I’m grateful each day for the people in my life who supported my decision to start writing and blogging. It’s made me a happier, more centered person and I’m excited for the future of my blog. Thanks again, Bee, for making this a fabulous month of love! Love Is In Da Blog is hosted by Bee at Just Fooling Around With Bee. The prompt today was to basically say goodbye for a year (so sad!). 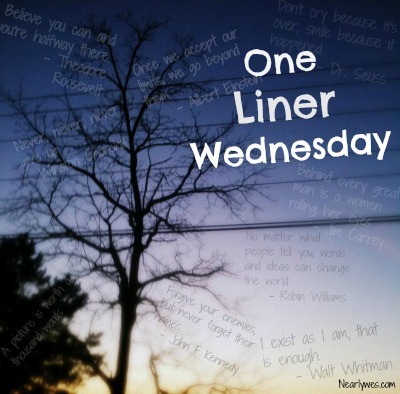 We are also combining today’s post with Mindful Monday hosted by Colleen at Silver Threading. Have you ever been in a relationship where you truly believed you loved that person enough to let them go? I’ve said it before in a relationship but I’ve never actually done it. I’m not sure it’s something that’s easily done. Walking away from someone when you’re still in love with them makes it harder to let go. In the past, even when I thought I was over, I still had a hard time finding out that the other person had moved on. I wasn’t sure what song to pick, but then I remembered this one. It makes me cry when I hear it because it’s gut-wrenching. One of my favorite lines: “But I know that you’ll find another, that doesn’t always make you wanna cry”. I hope you enjoy this week’s Song Lyric Sunday pick as much as I do. Feel free to read the “rules” below and join in with one of your own. 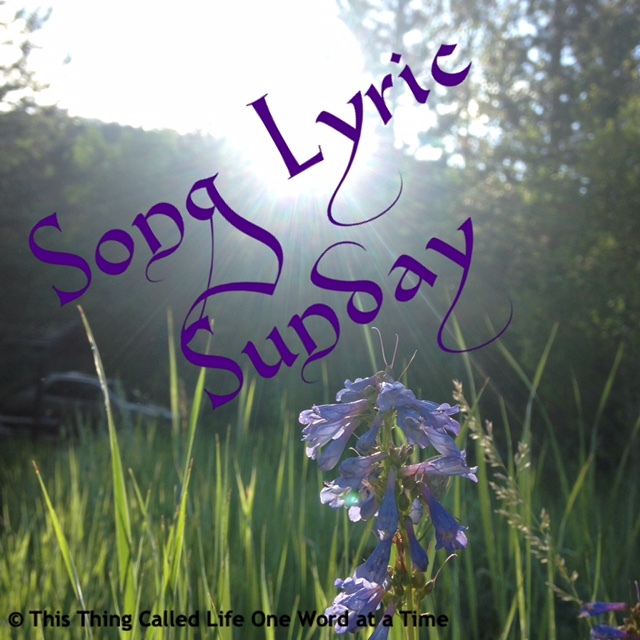 Today’s Song Lyric Sunday is combined with Love Is In Da Blog hosted by Just Fooling Around with Bee. Her prompt today was “Goodbye Songs” since it is our last combined post. Thanks for all who took part during Love Is In Da Blog. I hope you stick around for more song lyric fun! I had a conversation with my fiancé just before reading the prompt for this post. He wanted to take me to dinner to celebrate (oh, haha, I don’t think I mentioned that I got a shiny new promotion at the day job that comes with a raise! ), and he asked where I wanted to go eat. All of that, and we still don’t really know where to go for dinner. Sometimes I think there are way too many choices and it isn’t very often that you decide on one and it ends up being exactly what you wanted. The worst is when you really start to like something at a certain restaurant and they take it off the menu. I really loved the Baja salad at Wendy’s but I only ordered it every once in a while. A couple of Saturday’s ago, we went there after the gym and I ordered the salad and the lady didn’t even know what I was talking about. How long has that thing been off the menu? I honestly couldn’t even tell you, but Wendy’s hasn’t been the same since. What about you? Do you have places you love to go or certain types of food you like to eat? 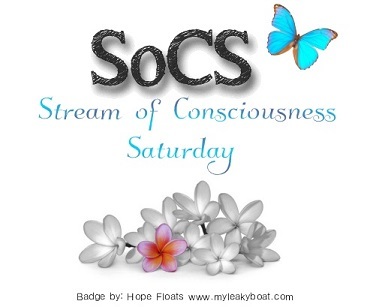 Stream of Consciousness Saturday is hosted by Linda G. Hill and Love Is In Da Blog is hosted by Bee at Just Fooling around with Bee. Linda’s prompt today was food and Bee’s prompt was “goodbye love”. 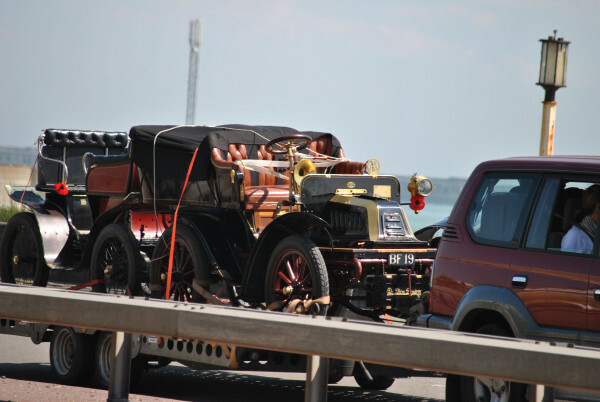 He watched as one of the time’s monstrosities pulled a trailer carrying a 1910 Model-T Ford down the road. His eyes locked onto it as his breath caught in his throat. My car! Standing up, he settled his hat on his head and made his way back to his make-shift workshop. He knew he could never resign himself to stay. It was time to find a way back. Click on the blue froggy to read other amazing 100-word stories! I don’t know about you, but I’ve always really loved elves. I know they are snobby, elitist jerks sometimes, but of all the fantasy races I’ve read about, they are the ones I always wanted to be. And when I think of a fantastical destination, the only one I ever really wanted to visit was Rivendell. I also remembered a song I heard when I was a teenager, so I looked it up today and the lyrics took my breath away. They are beautiful and the perfect description of the place I will always consider my number one place to go if it ever decides to find its way into our reality. Love Is In Da Blog is hosted by Bee at Just Fooling around with Bee. Today’s prompt was “celebrate your imaginary destination”. I didn’t mean to turn this into a Song Lyric post, but the song was too perfect not to put here. I hope you enjoy!